Learn more about the different types of outside loans and grants, as well as Reinhardt Institutional Aid for which you may qualify. 2018-19 FAFSA will be available on October 1! 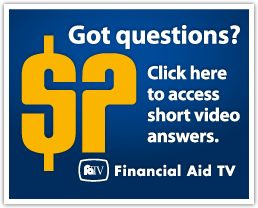 The Free Application for Federal Student Aid (FAFSA) is used to determine student loans and work study eligibility. Reinhardt's Federal School Code is: 001589. Use only the official web address www.fafsa.ed.gov to access the FAFSA. There are websites with addresses that are similar to www.fafsa.ed.gov which charge a fee to redirect you to the correct governmental site. You will not be charged this fee if you use the official FAFSA site. The U.S. Federal Government has many financial aid options to help offset the cost of an education. The Federal PELL Grant: Grant available to undergraduate students considered to have low-income from the information submitted on the FAFSA. Federal Supplemental Educational Opportunity Grant (FSEOG): Grant available to students receiving the Pell Grant and calculated to have a zero expected family contribution (EFC). Direct Student Loans: An undergraduate student may apply for a Federal subsidized and/or unsubsidized student loan to assist with education costs. Subsidized loans are available to students who have financial need. Unsubsidized loans are available to students who do not have financial need. Financial need is based on information entered on the FAFSA. Direct Parent Loans: The parents of an undergraduate dependent student may apply for this type of Federal loan to assist with education costs. Federal Work Study: Students who would like to participate in the work study program must have financial need based on information entered on the FAFSA. The State of Georgia has several financial assistance programs available to Georgia residents. These programs are available for students who have resided in Georgia for 24 months prior to the beginning of the term for which they are applying, and for students who have recently graduated from a Georgia high school and have resided in Georgia for 12 months. A student must meet state eligibility requirements to receive state aid. The scholarship and grant programs administered by Reinhardt University are designed to assist a wide range of main campus undergraduate students from various backgrounds. Funds are awarded each year to qualified undergraduate students who excel in academics, achievement, art, athletics, leadership, and music, as well as to those who have demonstrated an enthusiasm for learning and need financial assistance. REMINDER: Students receiving 50% or more of their tuition expenses directly from Reinhardt Institutional Aid are required to reside on campus unless living with parents or a spouse. You may be eligible for a scholarship based on your major, ethnic background, interests, medical history, and/or religion. United Methodist Church sites include www.gbhem.org and www.umhef.org. Students with physical or learning disabilities can contact their local Vocational Rehabilitation (part of the Department of Labor) for assistance. Search for local scholarships within your county. Many employers offer tuition assistance for employees and their families. Please check with the company's Human Resource Office to inquire about employer tuition assistance opportunities, eligibility, and application processes. While many scholarship search services will need some general information from you, do not give out personal information such as your Social Security Number. You should not have to pay to search or apply for scholarships - if payment is requested, it might be a scam. No one can guarantee that you will receive a scholarship, so beware of promises that are too good to be true. When in doubt, contact your Financial Aid Counselor, and he or she will help to determine if the site is legitimate. Please be aware that some letters, emails, phone calls, etc. you may receive may not be legitimate. Scams that we have been informed about are posted here so you know they are not real. If you ever question something sent to you, we encourage you to contact the Office of Student Financial Aid so we can help you verify its validity. www.FAFSA.com- DO NOT use this web address for FAFSA. It will charge you to reroute you to the real FAFSA site. You want to use www.fafsa.ed.gov. Reinhardt University is partnered with Tuition Management Systems (TMS) to assist students in paying their tuition, room and board, and fees through affordable monthly payments. Payment arrangements must be made by the payment deadline. By participating in a monthly payment plan, a student can make smaller payments over the course of several months rather than making one large payment. The TMS monthly payment plan is not a loan, so no credit check is required. The enrollment fee is paid once each semester. Students enrolling for spring semester in a Traditional Undergraduate or Graduate program can sign up for a payment plan. The length of the plan is determined by when the plan arrangements are made. The payment plan is not available for the summer semester. The payment plan is not available to mid-term learners. Prior to the beginning of each semester, a student will need to view his or her Statement of Account on EagleWeb. Failure to view the Statement of Account on EagleWeb is not an excuse for not meeting the payment deadline. A Statement of Account includes tuition, room & board (if living on campus), and fees (technology, student activity fees, etc.). Room & Board: $5,100 (If student is commuting, do not include this amount in calculation. Amount varies depending on housing choice). 2. Subtract semester scholarships, grants, and loans. When calculating student and/or parent loans, please remember origination fees. The origination fees can be found on your EagleWeb Statement of Account. 3. The difference between expenses and financial aid is the total amount due. Divide that amount by the number of months for the chosen payment plan to determine the monthly payment. After registration, if other financial aid resources become available, the total payment amount can be adjusted at any time.Payments can be made by check, money order, credit card, online, phone, mail, or automatic deduction from a checking/savings account. Students participating in the TMS monthly payment plan who make their payments on time be financially eligible to register for the upcoming semester. For more information and to enroll, please visit www.reinhardt.afford.com or call 800-722-4867.